Mr. Electric is the electrician of choice for custom lighting design, recessed lighting and quality installation. Call one of our experts about designing and installing custom lighting in your home or business today. Let us help you create ambiance that can not only be seen, but felt. 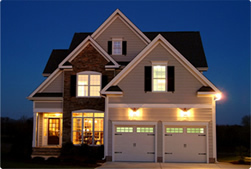 You can depend upon Mr. Electric to create a custom design that meets all your interior and exterior lighting needs.